Researchers knew California’s drought was already a record breaker when they set out to find its exact place in history, but they were surprised by what they discovered: It has been 500 years since what is now the Golden State has been this dry. California is in the fourth year of a severe drought with temperatures so high and precipitation so low that rain and snow evaporate almost as soon as they hit the ground. A research paper released Monday said an analysis of blue oak tree rings in the state’s Central Valley showed that the amount of mountain snow California relies on for moisture hasn’t been so low since the 1500s. That was around the time when European explorers landed in what became San Diego, when Columbus set off on a final voyage to the Caribbean, when King Henry VIII was alive. A team of researchers embarked on the study in April when state officials announced they had found “no snow whatsoever” in the Sierra Nevada mountains for the first time in 75 years of measuring. The research showed the level of snowpack is actually the lowest it has been in five centuries. Mountain snowpack provides 30 percent of California’s annual water supply when it melts and flows to rivers, streams, lakes and reservoirs. Across the state, the levels of water in those bodies are nearing historic lows. Climate models suggest many Western states will face longer and harsher droughts in the decades to come. In a statement, Nature said the “findings highlight the critical condition” of California’s reservoirs and groundwater, where water the state needs for municipalities and agriculture is stored. Both of those sources are slowly being drained, with little precipitation to replenish the rivers and lakes that supply them. The small amount of moisture stored in plants and the soil is quickly evaporating into the state’s dry atmosphere, exposing the parched ground to lightning strikes that spark wildfires. California has experienced about a thousand more wildfires this fire season compared to last, including two that are currently raging in the northern part of the state. California is having its “second-busiest season in a decade,” said Stanton Florea, a spokesman for the Forest Service’s Pacific Southwest Region, which manages 21 million acres of wildlands in California. In April, Gov. 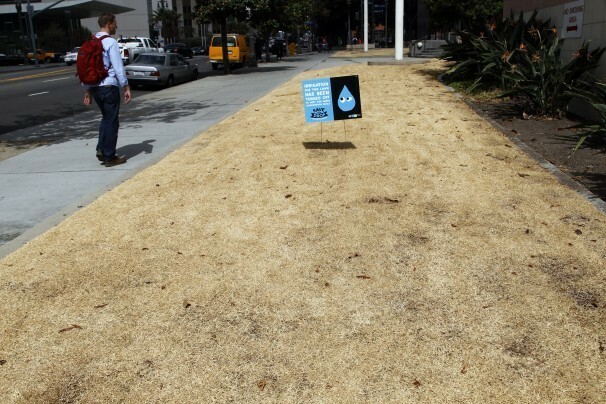 Jerry Brown (D) ordered the state’s first mandatory water cut for metropolitan areas. 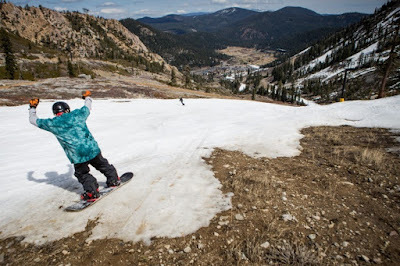 He announced the restriction from a dry patch of grass in the Sierra Nevada near Lake Tahoe that normally would have been wet from melting snow. Since that day, the state’s 400 water utilities have implemented water cuts of up to 35 percent in some areas, and farmers who long enjoyed the right to freely take water from rivers to water crops and hydrate livestock gave up a quarter of those rights for fear that the state would restrict them even more. Federal and state officials have used convoys to truck salmon and other fish from one part of the state to another, fearing a mass die-off if they tried to migrate to the Pacific Ocean in rivers that are abnormally low and completely dry in places. And the news keeps getting worse. A study by scientists at NASA and Columbia University said California was one of several states in the Southwest facing a mega-drought that could last up to 30 years if greenhouse gas emissions are not dramatically curtailed by 2050. 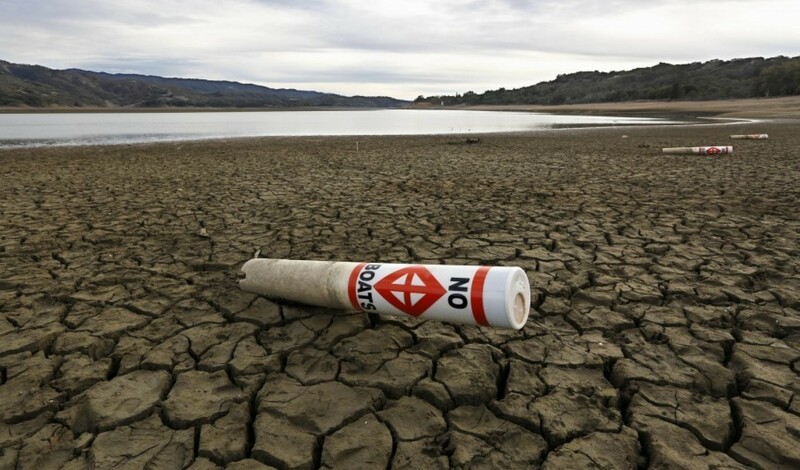 A study by scientists at Stanford University said a future of more-frequent drought in California is a near certainty because temperatures are increasing at a time when precipitation rates are steady, allowing heat to overwhelm the moisture. 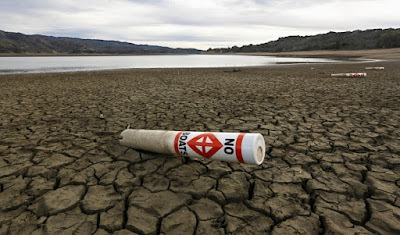 And another Columbia study said California’s current drought is part of a natural pattern, but human-caused climate change has made it significantly worse. The Columbia study analyzed month-to-month climate data between 1901 and 2014 to find fluctuations in precipitation, wind, temperature and humidity. It said average temperatures in California have increased by 2.5 degrees Fahrenheit over 113 years. And, starting in the 1960s, heat increased with the introduction of more greenhouse gases from automobiles and other sources. “When greenhouse gases accumulate, it’s like a bully showing up at your door to demand that you give it more and more every year,” said the study’s lead author, Park Williams, a bio-climatologist at Columbia University’s Earth Science Institute. 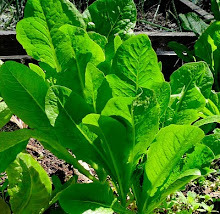 In California, that meant more moisture evaporated from rain and from groundwater sprayed on crops in farming regions such as the Central Valley. The historic nature of the current drought was well known, but how it ranked over time was not. When Trouet and her team learned in April that snowpack that usually supplies 30 percent of the California’s potable water each year was so low, “we realized we had the data from previous research to put this into context for the longer term,” she said. What they didn’t have were fresh tree samples, so Stahle of Arkansas traveled to the Central Valley and extracted a core sample from blue oak trees. Blue oaks love winter rain, and their tree rings express it with wide bands. Low periods of moisture result in narrow bands. “It’s like a bar code,” said Trouet. Blue oaks in the valley are a long way from the Sierra Nevada mountains in the northern part of the state, but the same weather systems that supply rain to the low elevations where they stand result in snow in high mountain elevations. Analyzing the new core samples and others taken in previous years, the scientists didn’t observe rings as narrow at low elevations as today’s until a period that dated from the 1500s.